Breathe life back into skin with intensely invigorating and revitalizing Dead Sea Minerals. We’ve harvested the oceans nutrient rich Seaweed and Kelp right from the source – A satisfying boost for thirsty skin and then some! Start your new weekly skincare regime with Montagne Jeunesse Clay Spas, three NEW ground-breaking face masques that deliver a unique, enhanced cleansing experience. Specially sourced clays are infused into natural bamboo fabric making deep cleansing your skin quicker, easier and more convenient than ever before – creating a whole new type of face masque, a world’s first in face care! The directions were pretty easy to follow — just pull it out of the package, unfold it, and place it over your face. Well, the first problem for me was that the face sheet was way too big for my petite face! Which posed a very big problem when I was trying to make sure my face was all covered with the sheet and still be able to see out of the mask. 😛 Let me tell you, it was quiet a comical picture that was staring at me from the bathroom mirror! 😛 But, before that, the biggest thing that turned me off about this product was the smell. I got the Red Earth Clay Spa in Pomegranate…and I now know that I do not like the smell of pomegranate! After I finally got it situated on my face, I was very near gagging from the overpowering smell as I waited out the ten minutes. I think I’ve already mentioned, above, what my major dislikes were. I really don’t mean to sound totally negative about this product — those were just two big issues I had with this mask…and they are a big part of this mask – the size and smell. There were some positive things I can say about this mask, though. For one, it was very refreshing on my skin. I wouldn’t say it left my skin totally moisturized afterwards (I still applied my night time moisturizer), but it felt very soft and clear. I felt like it toned down the red, inflamed areas of my face very nicely and, since using that mask, a lot of areas on my face that looked like they were about to get a really bad ‘acne outbreak’ have cleared up. 🙂 So this is a major plus for me — I’m always battling acne. I can’t say I loved this product, or that I would even use it again. If they came in different sizes — for petite girls like me 😉 — I would definitely give these masks another try. Just not anything with pomegranates in it! Sorry to hear about your mask experience. Be sure to share that with the rep or company. I am sure they will follow up with different masks. I love their masks but one I am not to fond of is the heated one. Personally I found the heat to be overwhelming. But otherwise it left my skin nice and soft. I LOVE honest reviews. Thanks for mentioning the mask size being a bit large. I typically don't like the heating feeling on my face and the smell can be a tad overwhelming but I'm always up to trying new things. I'm not sure if this is something that I would like since I really don't like things covering my face. However I did enjoy reading your review! Krystal – Yeah, it was really weird. It wasn't too bad, since I just let the mask go down my neck. But it was hard to get the eyes to match up, lol! Autumn – Oh, yes, I made a note to do that. Thanks for reminding me! I'm glad to see that you enjoyed it. They seem like awesome masks! Tomi – You are very welcome! Yeah, the smell is really what got me. I guess I'm just really weird with smells, but it was just too powerful for me. Minta – Yeah, it felt REALLY weird having something covering my face. 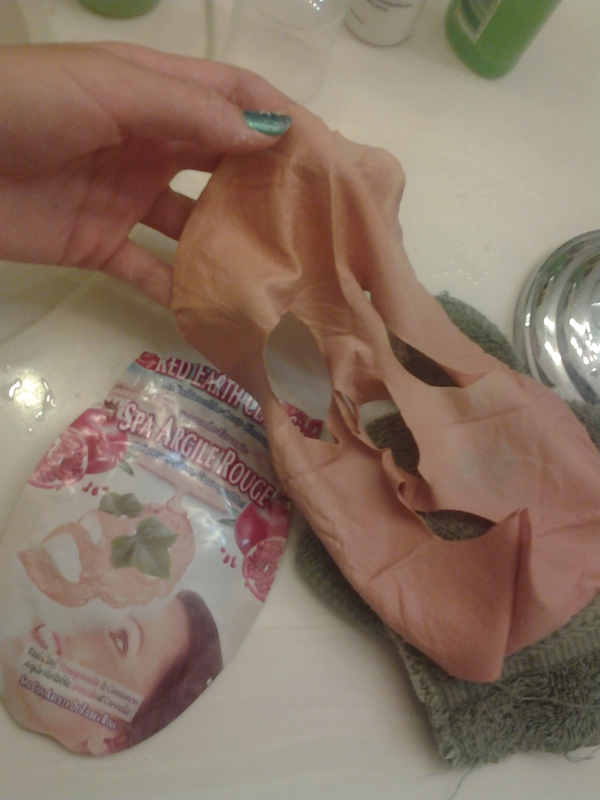 I normally just have cream masks that I spread over my face, let it dry, then rinse it off. So this was really different! The smell would bother me too. If I ever decide to try a mask, I will look for a different brand. Thanks for the honest but still polite review!